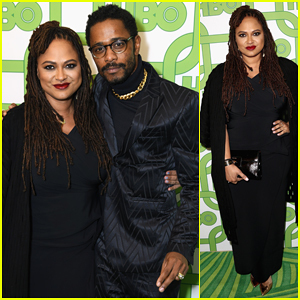 Ava DuVernay strikes a pose on the green carpet while attending HBO’s Official 2019 Golden Globe Awards After Party held at the Circa 55 Restaurant on Sunday (January 6) in Los Angeles. 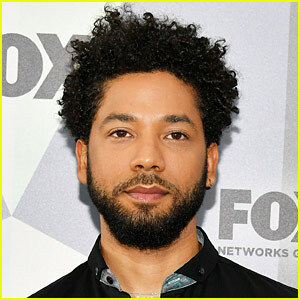 The 46-year-old writer-director was joined at the event by Sorry To Bother You star Lakeith Stanfield. Logan Browning, Amber Stevens West and Moran Atias hit the carpet at the InStyle & Warner Bros. Party. 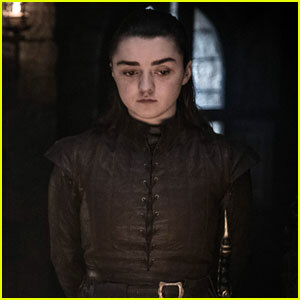 FYI: Lakeith is wearing a Dzojchen suit and SALT. glasses. Moran is wearing a J Mendel dress and Lorraine Schwartz jewelry. Jordana Brewster and Gillian Jacobs meet up while attending Maje‘s celebration of Denim: A Capsule Collection on Wednesday (April 19) at the Chateau Marmont in West Hollywood, Calif.
Other celebs in attendance included Moran Atias, Erin Foster, fashionista Erica Pelosini, and DJ Nikki Pennie. Jordana is not in the new movie The Fate of the Furious as her character has moved away with the late Paul Walker‘s character, but she says she might still return for future installments. FYI: All of the ladies are wearing Maje. Rumer and Scout Willis make the ultimate sister duo while hitting the carpet together at FOX and FX ‘s 2017 Golden Globe Awards After Party sponsored by Heineken and held at The Beverly Hilton Hotel on Sunday (January 8) in Beverly Hills, Calif. 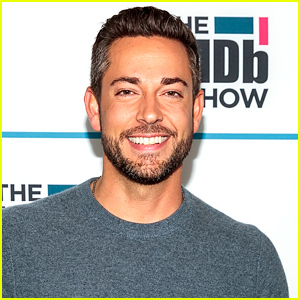 The two ladies were joined at the event by New Girl star Max Greenfield and his wife Tess Sanchez, American Horror Story‘s Cheyenne Jackson and Cuba Gooding Jr., Tyrant‘s Moran Atias, Lucifer‘s Aimee Garcia and Salem‘s Janet Montgomery. Also in attendance at the party was screenwriter-director Ryan Murphy, who brought along his Golden Globe award for Best Miniseries or TV Film for The People v. O. J. Simpson: American Crime Story. People v. O. J. Simpson beat out American Crime, The Dresser, The Night Manager, and The Night Of. FYI: Rumer is wearing a Elie Saab dress and is carrying a Edie Parker clutch. Moran is wearing a Jenny Packham gown paired with a Tyler Ellis clutch, Brian Atwood shoes and Lorraine Schwarts jewels. Adriana Lima and Karolina Kurkova step out in style for the 2016 amfAR Gala held at La Permanente on Saturday evening (September 24) in Milan, Italy. The models were joined by Heather Graham, Sara Sampaio, Dita Von Teese, Lottie Moss, Jasmine Sanders, Moran Atias, and Charli XCX. FYI: Jasmine is wearing a Berta gown. 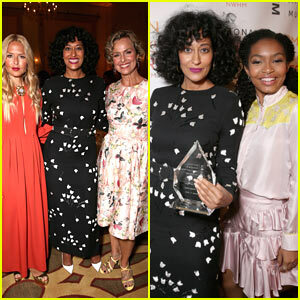 Tracee Ellis Ross takes the stage as she is honored by her Black-ish on-screen daughter Yara Shahidi at the 5th Annual Women Making History Brunch on Saturday (September 17) in Beverly Hills, Calif. The 43-year-old actress was honored alongside fashion designer Rachel Zoe, actress Abigail Breslin, and entrepreneur Toni Ko. The National Women’s History Museum, Glamour Magazine, and Lifeway Foods held the brunch to honor the achievements of women and generate awareness of the Museum and the importance of preserving women’s history. 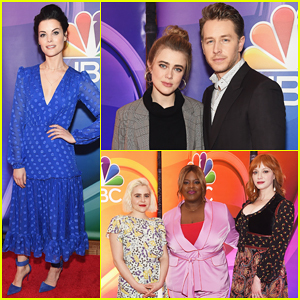 Other guests at the brunch included Molly Sims, Bruce Greenwood, Alison Dean, Amy Brenneman, Angel Parker, Angelique Cabral, Danielle Fishel, Gabrielle Ruiz, Garcelle Beauvais, Kate Walsh, Kathryn Burns, Kathy Griffins, Melora Hardin, Moran Atias, NeNe Leakes, Olivia Holt, Perrey Reeves, Peyton List, Sara Rue, Sharon Lawrence, Sky Nellor, and Virginia Williams. FYI: Olivia is wearing a Vita Fede choker.